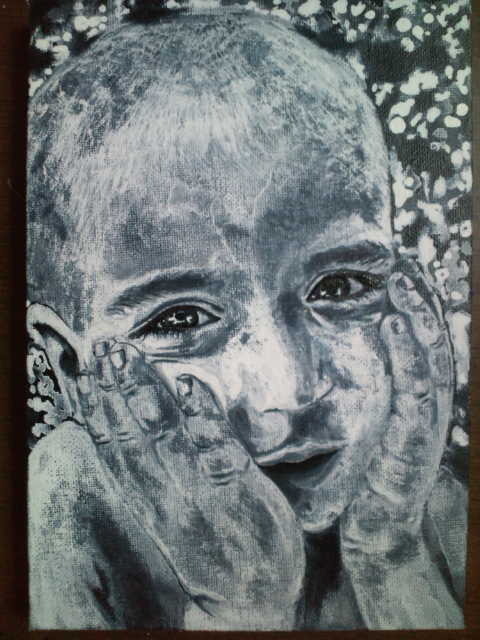 I was looking for someone or something to paint on the Internet the other day and found a picture of this boy. I liked his eyes so decided to paint. My friend made a scratch board of me, check it out. My friend , she's an american artist. I love her paintings so much. Her chalk art makes me so warm inside. Can be a good ..